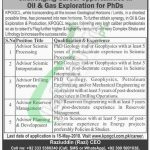 Get the recent job offer from KPOGCL Jobs 2018 KPK Oil and Gas Company Apply Online. Here a brilliant job opportunity is waiting for the services of well disciplined, caliber and adroit applicants are needed for the various jobs available such as (Advisor Seismic Processing, Advisor Seismic Interpretation, Advisor Drilling Operations, Advisor Reservoir Management, Advisor Planning & Development). Candidates from all over Pakistan are eligible to apply for these jobs but they should possess a Ph.D. qualification in the relevant discipline with at least 5 years relevant field experience is required to apply. Attractive salary package will be given to the applicants with a brilliant atmosphere. So, if you belong to KPK and looking forward to build-up your career in Oil and Gas Sector then it is the right opportunity for you to get recruited in this field and all you have to do just apply as soon as possible. So, only suitable candidates fulfilling criteria should apply as per the following how to apply procedure given below. Candidates meeting criteria should apply via online at KPOGCL’s official site such as www.kpogcl.com.pk/career or through following web link given below. The last date for submission of application is May 15, 2018. Only shortlisted and qualified candidates will be called for interview. No TA/DA will be given for the purpose of an interview. Only those applicants can apply who possess the experience in upstream exploration and production. Candidates should bring original documents at the time of interview. 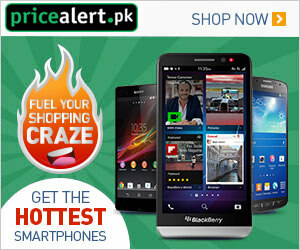 For more quality jobs please visit our site JobsAlert.pk. Last Date For Apply: May 15, 2018. Address: 3rd Floor Opposite Customs House, University Road, Peshawar.